Western River is committed to not only providing the best rafting trips in the world, but also to protecting those valuable resources in the environment in which we operate. Trips just like ours help people discover back-country for themselves, while truly "leaving the canyon as it is". We have continually tried to contribute to our rafting, guiding and outfitter community with several initiatives and causes. As the largest commercial outfitter in the Grand Canyon, we feel it a pleasure and duty to make any efforts to protect the Grand Canyon, and all of the destinations we travel through. We aim to make a difference, and hope others will follow our example. There are times when blazing new trails is actually the best way toward environmental sustainability! Western River Expeditions, along with the Grand Canyon and Glen Canyon professional river outfitters have embarked upon an exciting effort to develop and implement alternative motorboat technology suitable for commercial river operations within Grand Canyon National Park and Glen Canyon National Recreation Area. The National Park Service strongly supports and has formally endorsed this effort. Program goals include the development and implementation of proven, environmentally-sensitive non-fossil fuel based motorboat propulsion systems with low noise and low or zero emission operating characteristics suitable for environmental sustainability in commercial river operations. These alternative motorboat systems will replace the conventional 20hp to 30hp outboards now used in the Grand Canyon and the 135hp outboards now used in Glen Canyon. Western River Expeditions has pledged considerable financial resources to this effort, including efforts with local University teams for product development. The National Park Service has pledged dollar for dollar matching funds. Multiple competing prototypes will be developed and rigorously field tested to compare various system approaches and competing technologies. While serious technical and economic challenges exist, the hope is that the Grand Canyon alternative motorboat project will conclude with the wide scale implementation of a new, cutting edge environmentally-sustainable alternative motorboat propulsion systems proven safe, reliable and durable for the various commercial river operations on the sensitive and challenging waters of the Colorado River between Glen Canyon Dam and Lake Mead. 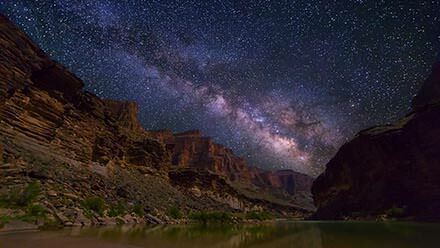 The Grand Canyon Conservation Fund is non-profit enterprise established in 1988 and managed by a group of Grand Canyon National Park’s licensed river outfitters. 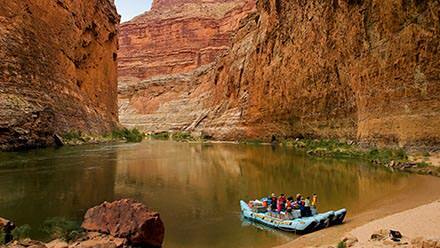 Each year, roughly eighty percent of all professionally outfitted river trip passengers, including Western River Expeditions' guests donate $1 per day of their river trip to the Grand Canyon Conservation Fund. 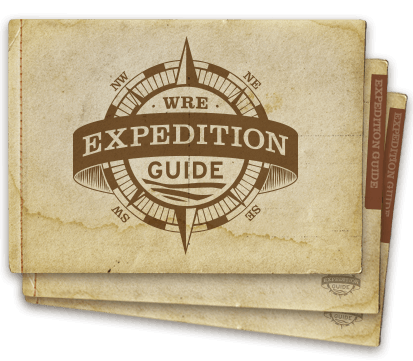 Western River Expeditions proudly supports this fund and as such includes this as a line item on all of our trip reservations as an optional fee. In turn, this money is awarded in the form of grants to non-profit conservation groups and those working to provide access to backcountry outdoor experiences for those with physical and socioeconomic challenges. The Grand Canyon Conservation Fund does not award grants to individuals, for-profit corporations or government agencies. Each of us participating encourage not only environmental sustainability, but the soul-stirring experiences humans need from an environment such as the Grand Canyon. The Grand Canyon Conservation Fund is managed by volunteers. There are no administrative overhead costs. One hundred percent of all donations go directly to protecting and conserving the Grand Canyon and providing access to those who would not otherwise have the opportunity to share in the Grand Canyon river experience. The Grand Canyon River Outfitters Association (GCROA) is a non-profit trade group made up of the sixteen professional river outfitters which are contracted with the National Park Service to provide the public with multi-day whitewater river trips within the Grand Canyon National Park. Each outfitter is anxious to share an (environmentally sustainable) experience of a lifetime with you! The new Colorado Water Plan will guide how Colorado will manage water, protect rivers, and sustain agriculture while confronting climate change and a growing population. A battery of threats to the enrinmental sustainabilty of the Colorado River and its canyons persist, and American Rivers is a champion of fighting these threats. Western is a proud partner. Sometimes environmental sustainability is as simple as leaving no trace that you were there. The member-driven Leave No Trace Center for Outdoor Ethics teaches people of all ages how to enjoy the outdoors responsibly and is the most widely accepted outdoor ethics program used on public lands. The largest proposed diversion of the Colorado River will negatively impact millions of residents and hundreds of fish and wildlife species, threatening the environmental sustainability of the ecosystem at large. The international trade association for the world's finest adventure travel outfitters, tour companies and outdoor educators and their suppliers. With more than 500 member companies worldwide, our members provide whitewater rafting, canoe and kayak trips, guest ranch vacations, adventure travel and resorts, hiking, outdoor education, cycling tours, climbing and much more. The Association was founded in 1991.